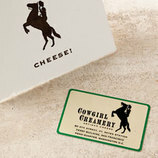 Jasper Hill Farm, the expansive dairy project hatched by brothers Mateo and Andy Kehler, was first established in Greensboro, Vermont, during the summer of 2002. 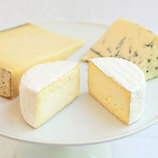 With their small herd of Ayrshire cows, the Kehlers began to make an array of cheeses that would soon bring them renown, including a soft, bloomy-rinded barrel called Constant Bliss and the savory, Stilton-esque Bayley Hazen Blue. Andy manages the herd, rotating the cows on fresh pasture as the weather allows and feeding them hay in the winter months. 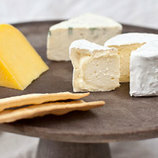 Jasper Hill's Ayrshires produce milk that is wondrously high in fat and protein, perfect for the unique cheeses made on the farm. In the mid-2000s, after considerable research and investment, the Kehlers built the Cellars at Jasper Hill, a series of aging tunnels built into the farm's hillside that are carefully designed to maintain the specific climates and temperatures necessary for ripening different types of cheese. The Kehlers collect young wheels from neighboring farms and meticulously care for them in the Cellars, alongside the cheeses made at their farm. In the Cellars, this last stage of cheesemaking, known as "affinage,” is masterfully executed. 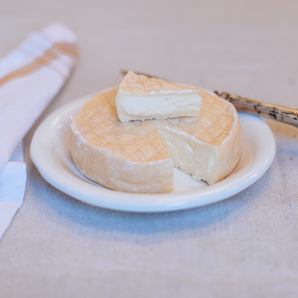 Named for a lake just north of town, Willoughby is a soft, flat round with a pudding-like texture. 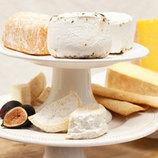 It is lightly washed and develops a thin, tacky rind that is mildly pungent but not overpowering – the perfect complement to the cheese’s interior flavors of fruit and cream. Try pairing with a lighter-bodied red wine or a saison.